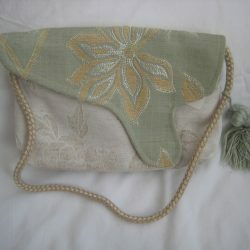 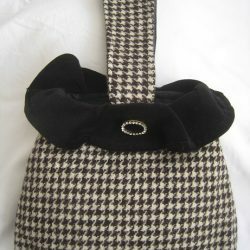 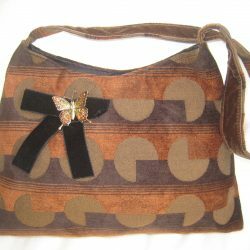 Small version of the Hosta style handbag. 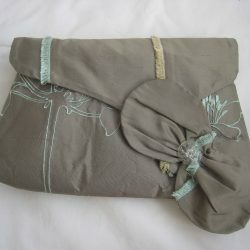 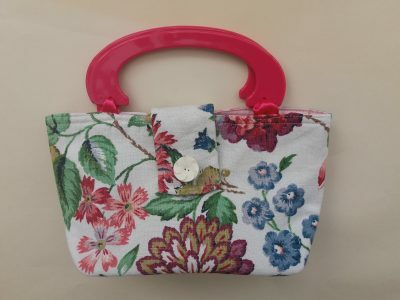 Made from vintage floral pattern linen with a pink interior. The handles are bright pink acrylic, and there is a flap over with a magnetic clasp fastening, and a cream vintage button.